As part of our proactive approach to security, we made a number of enhancements and changes in this area for version 4 of our scheduling system. 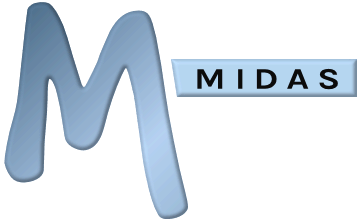 In MIDAS v4, users are now required to login with their email address instead of their previous MIDAS username (their passwords however remain the same). Basically, previous v3 usernames have been dropped in favor of email addresses for login in version 4 of our room and resource scheduling system. As such, each account within your MIDAS system needs to have it's own unique individual email address assigned to it (in v3, you could assign the same email address to more than one user account). ...please login to your MIDAS v3, then go to MIDAS Admin Options → Manage Users & Permissions, and update the affected accounts to ensure that each one has its own unique email address assigned to it. Once you've done this, you should be able to successfully update your MIDAS system to v4!